Welcome back! We've got something exciting today. 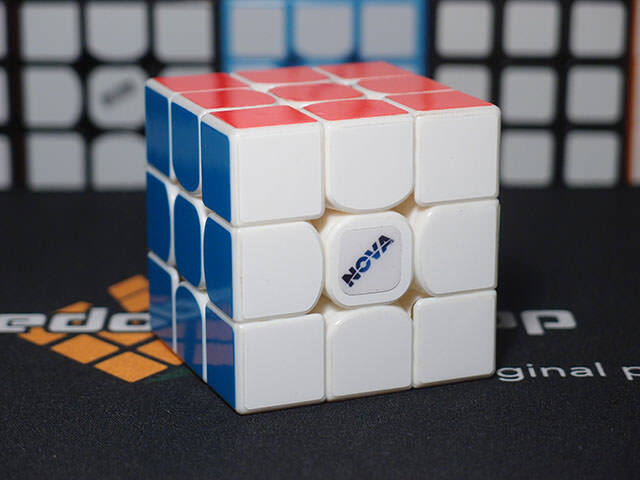 Ever since Moyu shared a picture of what was initially (mistakenly) labeled the WeiLong GTS 2, and was in fact the Dual Adjustment Kit, there's been a lot of speculation on what it is and what it does. Now, it's finally here, and we get a chance to take a look at it! To be completely clear, this isn't just a box with a tool that can be reused for multiple GTS's. It is a full upgrade kit and in fact, once assembled, leaves you with a core and 6 center pieces so that you can swap the pieces from your old GTS over. Obviously, you will need a new kit per GTS, though you can reuse the tools provided. To really understand this, you have to understand that there are actually two parts to adjusting the tension of a cube. Tightness - if you pull a center piece out, this is where the center piece hits its hard limit and is unable to be pulled out any further. 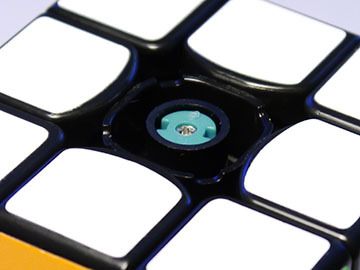 This controls the max amount a cube is able to flex, and contributes to flexiness, stability, and especially max corner cutting. Elasticity - If you pull a center piece out, this is how much force it takes to pull a center piece to a certain position. 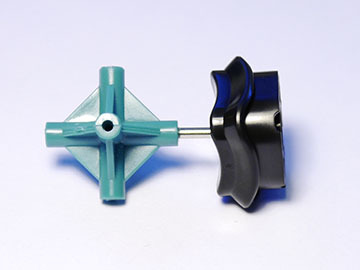 This controls how easy or hard a cube is to flex, and contributes to flexiness, speed, and effective corner cutting. It can also alter the feel of a cube itself, such as varying the amount of bumpiness or crunchiness (but not remove them entirely). Quick refresher: What I have coined as effective corner cutting is how much a cube can corner cut without any significant effort. This is a subjective measurement, of course, but even an estimated metric can give a good idea of how easily a cube corner cuts. Usually these factors aren't considered and instead we just have "a tight tension" or "a loose tension", because in most cubes they're directly related to each other and can't be adjusted independently. 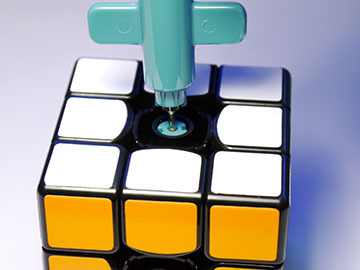 If you tighten a screw, the cube gets tighter and the spring is compresses and pushes harder, and vice versa; there's no way to tighten the tightness but loosen the elasticity, or loosen the tightness but tighten the elasticity. GANS GES nuts were a bit unusual in that the limit was always set a certain distance away from the center piece, and only the weight of the spring changed, at least under GANS' recommendation of keeping the nut flush with the core. This mean that the tightness was constant between all nuts, and each nut just gave a different level of elasticity. 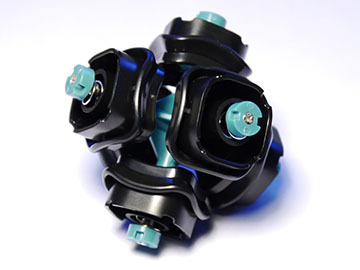 The Dual Adjustment Kit allows for true independent adjustment of both aspects of tensioning. 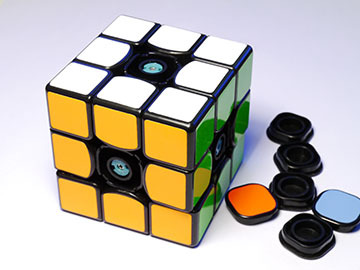 You're able to loosen one but tighten the other, which leads to a much wider range of customization options and could let you tune your cube in a way previously impossible with other cubes. It does this by using a two-stage tensioning system, which looks a bit like this. In the place of a flat screw head we find a thickened, threaded screw head, and since that can't retain a spring by itself we find a plastic nut that does so instead. 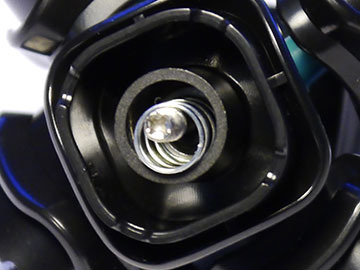 It turns out, the thickened part of the screw is wide enough that inside a center piece it can actually act as a full screw head, preventing the center from sliding off. When installed in a cube, adjusting the height of the screws provides a hard limit for how far the center piece can move up and down. This is how the tightness is adjusted. 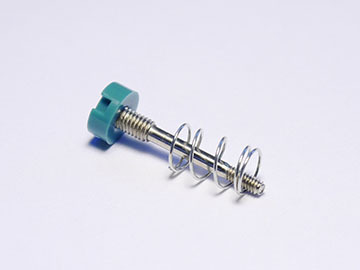 Then, since the threaded screw head doesn't interfere with the spring, adjusting the height of the plastic nut determines how much the spring is compressed. This is how the elasticity is adjusted. Pretty clever, right? I thought so too. I didn't even realize how it worked until a friend, who funnily enough didn't even have a dual adjustment kit at the time, figured it out by watching the Moyu tutorial. It works exactly as expected. Adjusting the hard limit noticeably affects how far the cue can flex, and is indeed independent from adjusting the elasticity. I was able to make a cube that was very tight but still very fast, by tightening the limit but loosening the nut, as well as one that was very loose but very slow by loosening the limit and tightening the nut. Eventually, after quite some time sunk into experimenting, I settled on a moderately tightened limit but loosened spring tension I enjoyed. It felt stable but fast and smoother than usual (though still crunchy, as a GTS should be), and indeed, no matter how I tuned it, the GTS without the kit couldn't quite replicate that feel. No matter who you are, I think the Dual Adjustment Kit could make your GTS more suited for you. Being able to adjust the two factors individually makes a big difference in feel, and lets you customize your GTS far more than simple tensioning screws. MoYu already has an excellent tutorial on their YouTube channel. If you prefer a text tutorial so you can follow it at your own pace, here it is. Unbox the kit. 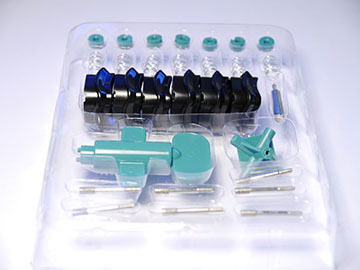 You will not need any extra tools for this, as both of the tools you need (the screwdriver and the nut driver) are included in the kit. Assemble the screwdriver. (optional) Lube the inside of the center piece, where the washer and screw will sit. 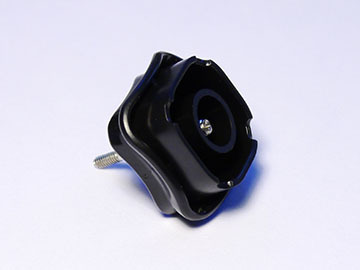 Moyu does not do this step, but this will ensure spring noise is eliminated. Slide a screw into a center piece. Make sure you do this before screwing the screw into the core, since the center piece doesn't slide on later. Screw in the screw to the core. Stop just as the smaller threads disappear fully into the core. Repeat steps 2-4 for all of the remaining centers. Place a washer into a center, optionally lubing both sides before placing it in. Place a spring over the washer. Lock the nut into the nut driver, optionally lubing the bottom (the side that contacts the spring). Screw the nut into the threads on top of the screw until the top of the screw and the top of the nut are flush. Repeat steps 6 and 7 for all of the remaining centers. 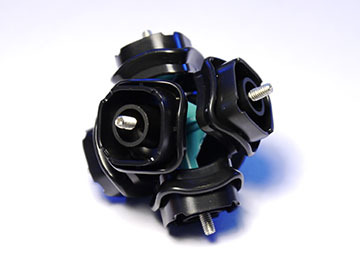 Disassemble the old Weilong GTS, and reassemble the pieces into the new core and centers. This is unfortunately an annoying and tedious process. 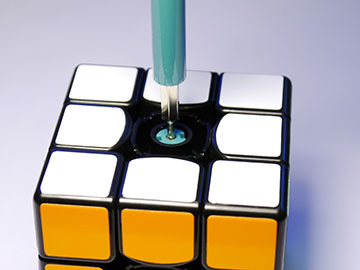 You may find your screwdriver slipping or your cube awkward to grab, and finding the right setting will probably take a few attempts. 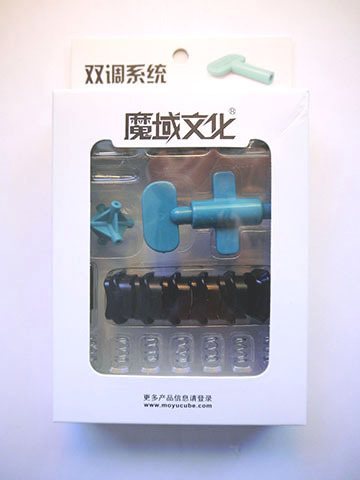 ﻿To find the desired tightness, turn the metal screw with the smaller screwdriver. Pull apart on layers to check the max flex, and keep adjusting until you reach your desired level. Make sure all centers are even. 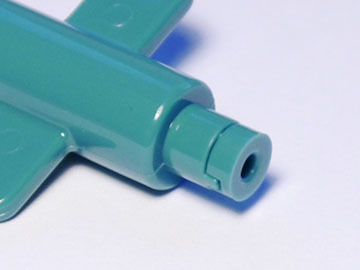 To find desired elasticity, turn the plastic nut. 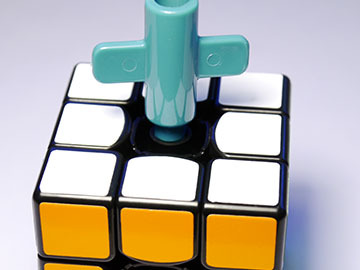 Pull to check how easy or hard it is to flex the cube, and keep adjusting until you reach your desired elasticity. Make sure all centers are even. 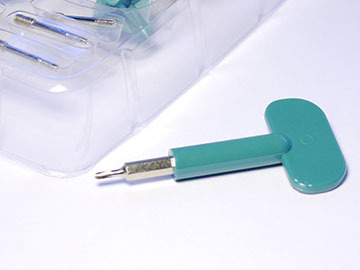 If you want to adjust the tightness without adjusting the elasticity, slide the smaller screwdriver into the larger nut driver, slot the screwdriver into the screw, and slide the nut driver down until it is locked into the nut as well. 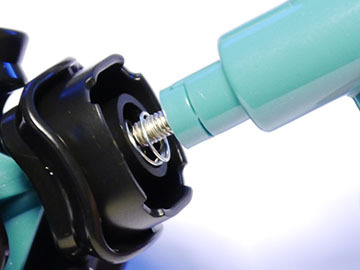 Turn the inner screwdriver without turning the outer nut driver. 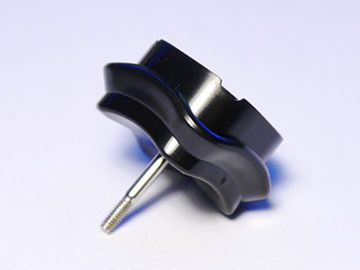 This will raise the limit of the screw without changing the height of the nut or the spring compression. Congratulations! 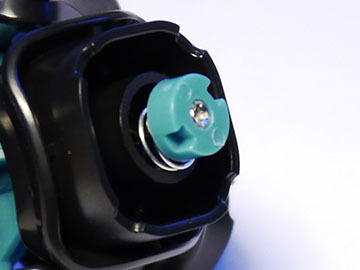 You now have a GTS with the dual adjustment system, hopefully tuned to your perfect feel! The WeiLong GTS dual adjustment kit certainly doesn't disappoint. 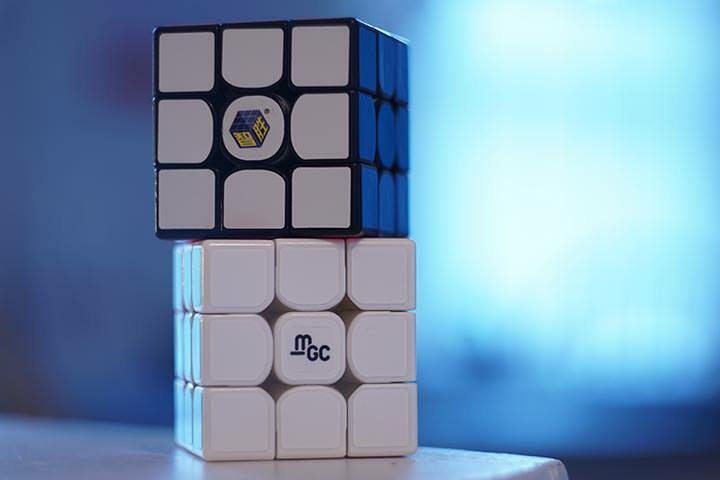 It's a great addition to the already excellent WeiLong GTS, and lets anyone customize their cube far more than the standard tensioning screws. It's not magic - a GTS is a GTS and will always be a GTS. You're not going to lose the crunchy and bumpy feeling, even if you can slightly change it. However, what it can significantly change - namely, the mix of max flexibility and elasticity, can make a pretty big difference in speed, stability, and corner cutting, which are huge aspects of the feel of the cube. Rather than the usual "You should/should not buy this if" chart, I'm just going to ask a simple question: should you buy this? In my opinion, if you already have a GTS, yes! It's only $5 and could potentially make you like your GTS a lot more. You'll have to put a bit of work into it, but in the end you get a cube perfectly tuned to your preference. What if you don't? Is it worth getting the new WeiLong GTS Perfect Bundle, which includes both a WeiLong GTS and a dual adjustment kit? I think, if you have already decided on a GTS and can spare the $4, the GTS perfect bundle is well worth it over a vanilla WeiLong GTS. You get a much wider range of customization for not much more money. 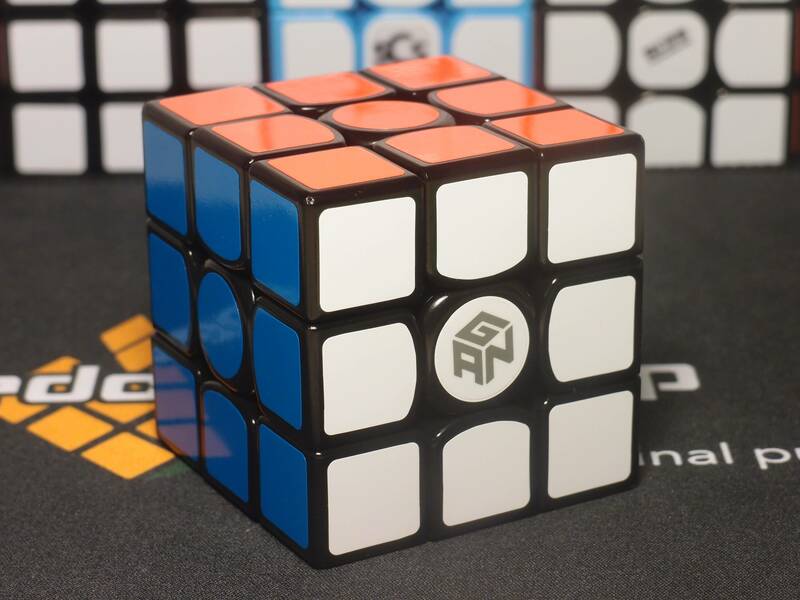 The trickier part of the decision is making the decision to buy a GTS rather than any other cube on the market - should you pick it over the other two reigning champs, the Gans Air or the Valk 3, or even the newer cubes such as the Mojue M3? That's up to you. Make your decision to buy the GTS first by reading some reviews or preferably trying one in person at a competition or a meetup. If you like it as many others do, go for it! If you don't, at least you know what cube to pick, or at the very least, what cube to avoid now! That's it for this one, everyone. Thanks for reading! 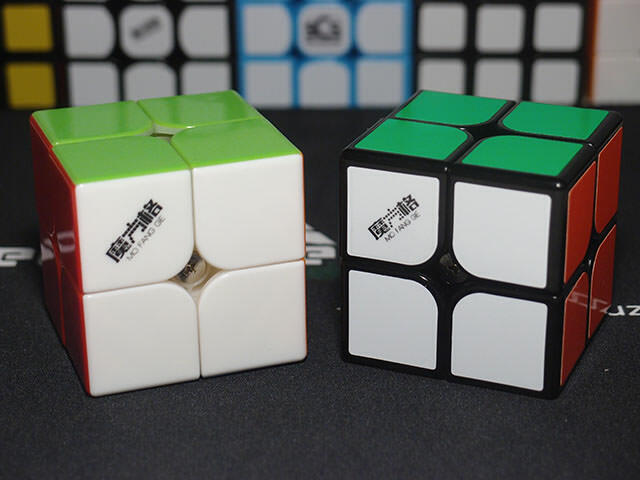 I'll be reviewing the Meichen and the new budget cubes next, as well as possibly some others, so stay tuned for more content soon!